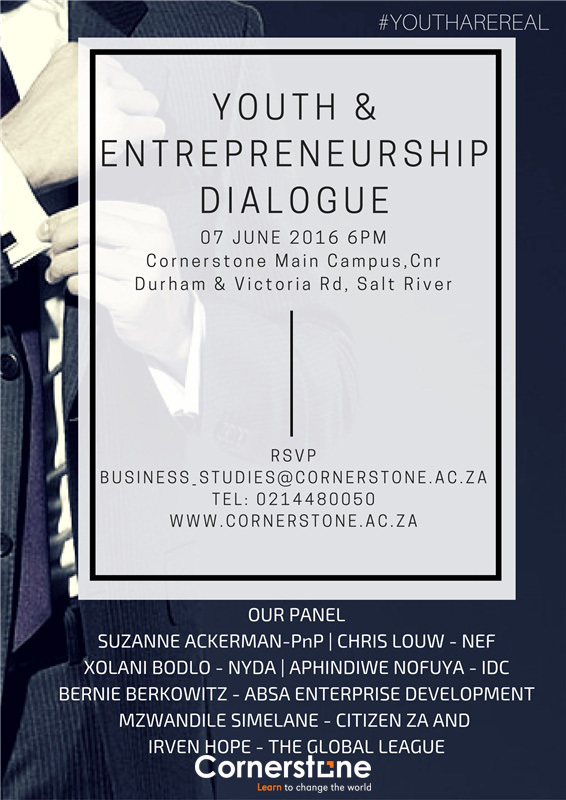 The Cornerstone Marketing Class is hosting a Youth Dialogue event on Tuesday the 7th of June 2016 at Cornerstone Institute, corner Durham & Victoria Roads, Salt River Cape Town from 6pm-8pm. Registration will begin at 5pm. 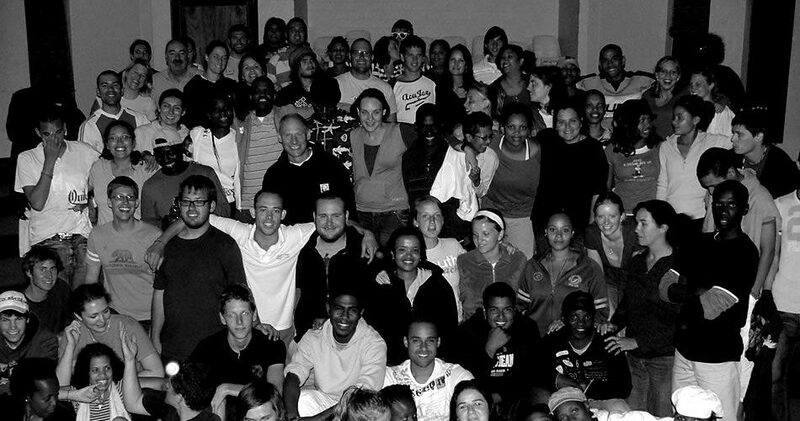 The dialogue boasts a diverse and powerful line up and will be moderated by Irven Hope (Co-founder of Game Changers in partnership with the Thabo Mbeki Foundation/Top 100 brightest minds in South Africa & in 2010 under the Khula initiative was nominated for the Pick n Pay leadership award). The issues that will be raised on the evening will include: Are the youth of today embracing the spirit of entrepreneurship? Are there tools and mechanisms in place to have them succeed? Are there suggestions of increased youth participation in the economy? The evening will be opened by the Cornerstone dance Crew, headed by a Cornerstone student and faculty member. The dance crew specialises in hip hop contemporary style and are in the process of putting together a performing arts production. This is an open event and there is no entry fee. Refreshments will be offered on the night.